How It Began: Korea, Day One. The prelude to war is often as clerical as it is martial. In the months that preceded the first combat strike on North Korea in 2013 a massive sorting of target data had to be performed. Where were the targets? How often are they moved? What potential threat did they pose and what order should they be engaged in? Every target in North Korea had to be sorted and assessed. Then they were matched with an optimal weapon to destroy that target. The best order to engage the targets was based on their significance and ability to strike back. The amount of casualties and degree of damage sustained from a counter attack by North Korea would be determined by the effectiveness of that first strike. The more damage we could inflict with the first strike the weaker North Korea could hit back. Despite the media rhetoric about long range North Korean missiles the biggest concern was the conventional North Korean weapons that could strike south at the civilian and military population center of Seoul. They are mostly gun tubes and rocket launchers near the border pointed south. Their transit times from firing to impact are minimal. Once they receive their final orders to fire they are no longer dependent on communications and can fire subsequent volleys until the targets, or the guns themselves, are destroyed. Preparations to strike these artillery emplacements began months and even years earlier with the loading of munitions on newly modified TRIDENT-class submarines now called “SSGNs” or nuclear powered guided missile submarines. These massive submarines had their nuclear ICBM capability replaced with tactical cruise missile launchers. 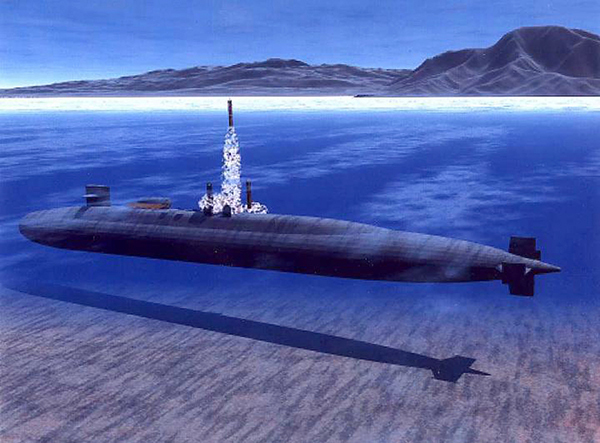 When their 7 rotary vertical launchers are full these submarines can carry 154 cruise missiles. The entire compliment can be fired in under seven minutes, launching a large number of precision guided cruise missiles with fragmentary anti-personnel or ground penetrating 1000 pound warheads. 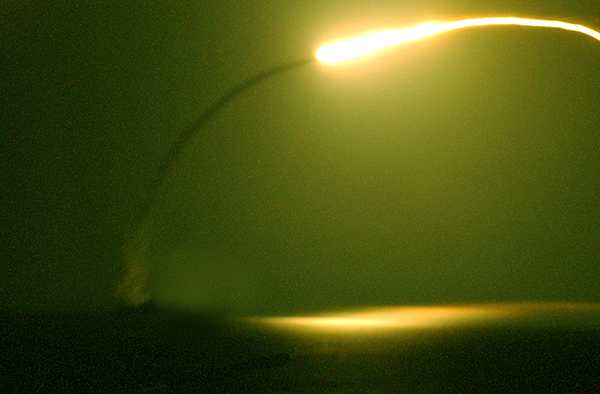 As effective as these submarine missile strikes, along with missile strikes from U.S. Navy surface vessels and later U.S. Air Force B-1, B-2 Spirit and B-52’s armed with AGM-129 ACM (Advanced Cruise Missiles) would be, there was still a deficit between the number of air launched and sea launched cruise missiles targeting North Korean artillery batteries and the number of their artillery emplacements pointed south. Even if every sea launched and air launched cruise missile found its mark during a first strike there would still be North Korean guns left over to fire on Seoul along with longer range missile facilities that could reach as far as Japan. These leftover North Korean weapons initially fell to U.S. and South Korean artillery units along the border and air assets like the F-16C’s and D’s of the 36th Fighter Squadron at Osan AFB. Even A-10 close support aircraft and U.S. Army AH-64 Apache attack helicopters would join the first strike effort to destroy North Korean gun tubes before they could fire south. In many ways North Korea had doomed itself to being struck first. Years of bolstering their conventional first strike capability on a massive scale set against months of saber rattling about their emerging nuclear capability and weeks of escalation left little choice in the increasingly important economic region. No one could afford the destabilization to continue let alone a first strike from North Korea to take place. 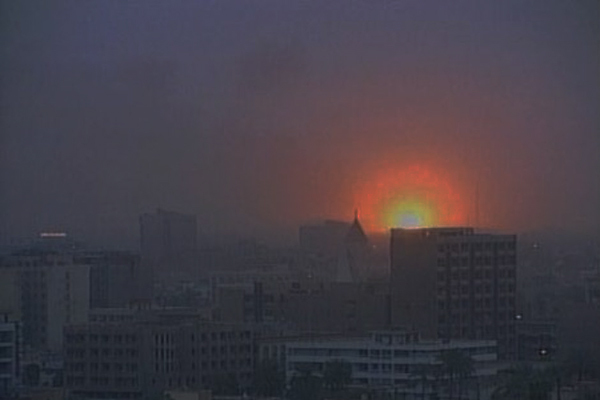 In a much more tangible way than the U.S. decided to strike Iraq under concern of Saddam Hussein’s WMD capability the U.S. was compelled to strike North Korea. The clock had simply run out. When intelligence assets picked up a massive explosion at a North Korean artillery battery the decision making engine, the “finger on the trigger”, determined it could wait no longer. War was inevitable. In the words of numerous great strategists it became crucial to “maintain our first strike capability”. The nuclear powered fleet ballistic missile submarine USS Ohio (SSGN-726) would fire the first shots in the second Korean War. From its 22 vertical launch tubes a salvo of new UGM-109E Tomahawk Land Attack Missiles (TLAM Block IV’s) with massive 1000 pound warheads churned the surface and danced awkwardly in flight until their primary motors engaged. Once their main turbofan engine started they flew away on low altitude flight paths to their assigned targets. These cruise missiles were difficult or impossible to detect with radar because of their size, speed and extremely low operating altitude, usually using terrain to mask their radar return. The strike package continued with the launch of F-16C and D block 40’s’s from the 36th Fighter Squadron at Osan AFB, South Korea. Some of these F-16’s were tasked with strike missions on artillery emplacements using their LANTIRN targeting pods while others were equipped with the AN/ASQ-213 HARM targeting systems to destroy surface to air weapons systems. These F-16 pilots would bravely engage the North Korean anti-aircraft and artillery systems until the larger Air Force bomber assets could be bought on target. The lag time for employing the B-1, B-2 and B-52 strike aircraft was over two hours before their first cruise missiles would be inbound, an eternity in the time scale of modern war. The transit time for F-16’s standing alert at Osan was minutes. Of course, as soon as the F-16’s left the ground the North Koreans would know, putting up their own defensive aircraft in the form of some advanced MiG-29’s but mostly older MiG-21’s. The F-16’s would likely hit most of their ground targets before anti-aircraft artillery and surface to air missiles along with North Korean MiGs became effective, if they ever did. Like most wars, day one of the new Korean War would start in the dark literally and figuratively. In the initial hours few people would have the overall situational awareness to understand what was happening. That lack of situational awareness would become a key factor in the conflict not escalating toward further disaster.